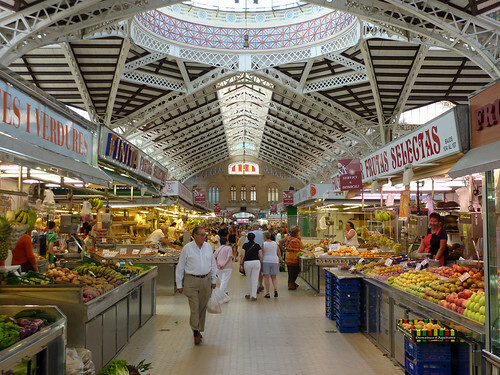 The central market in Valencia, Spain. One of the trends in library rhetoric is the increasing use of neoliberal words and terminology. This has been ongoing for some time and, in many ways, is nothing new (indeed, the discussion about it is nothing new). However, it seems to me to be ever more prevalent as growing numbers of people talk about library services (and public services in general) in broadly capitalist terms. We see this through the growth of the use of terms such as ‘customer’, ‘marketing’ and, most recently, in the suggestion that libraries should adopt a ‘market orientation’. Language is probably not given the importance it deserves. Care needs to be taken with the words we use and how we use them. Words have meaning, but they also come with baggage. It can help engender cultural change within an institution, changing the collective mindset and corrupting the values of an institution. There are increasing efforts, some might argue, to “roll-out neoliberal logics” within institutions and language is a powerful tool in paving the way for these “logics” to take hold. The “free market” and market led growth are the principal and most important sources of wealth. Large incentives are necessary to market efficiency. The wealth created by free markets will trickle down to benefit all members of society. The market is intrinsically more efficient than government. Government should be re-designed according to market methods and incentives to ensure greater efficiency. Neoliberalism argues that public services are inefficient unless they adopt market strategies to deliver services. Public services should, in effect, adopt a ‘market orientation’. It is by adopting such a strategy that, according to neoliberal dogma, public services will thrive. Not only should we be wary of the strategy, we should also be wary of the terminology that enables it. 1) The forward-thinking, progressive view. 2) The old fashioned, backwards view. Such a strategy is well established by neoliberals: neoliberal ideas are painted as progressive, forward-thinking and exciting. Opposition to such ideals (and there will be opposition when espousing neoliberal ideals that are odds with the values of the majority) is somehow a block on progress and somewhat old-fashioned. These old-fashioned perspectives, underpinned by a fear of change, prevent us from making progress. It’s not just about the way they use language, it’s about the way in which they frame the debate. Language is repeatedly abused by neoliberals to further their goal of turning us from citizens to consumers [pdf]. Our language has become increasingly capitalist, which is perhaps unsurprising when one also considers that we are increasingly living in conditions that could be best described as ‘extreme capitalism’. One does not necessarily cause the other, but it cannot be mere coincidence that our language is increasingly utilised in capitalist terms. Does the shift in language facilitate the growth of the capitalist system, or does the expanding capitalist system influence our language? Is language, in fact, the weapon that enables the rollout of “neoliberal logics”? “…we might look at society very differently, for the concept of use involves general human judgments – we need to know how to use things and what we are using them for… whereas consumption, with its crude hand-to-mouth patterns, tends to cancel these questions, replacing them by the stimulated and controlled absorption of the products of an external and autonomous system”. Perhaps the changing of our language influences the way we view our society and how it might develop. Maybe using ‘consumers’ (or ‘customers’) instead of ‘users’ sows the seeds of a particular mindset. A mindset that sees society as one filled with consumers rather than citizens, one that enables the establishment of these “neoliberal logics” within institutions. It is primarily due to concerns about the extent to which language enables the expansion of “neoliberal logics” that I am weary of its growing (mis-)use in libraries. I’m not comfortable with talk about ‘market orientation’ (or ‘marketing’ if I am entirely honest) with respect to public services in general, let alone with specific reference to libraries. Libraries do not exist in a market (although it could be argued that HE libraries operate increasingly within a market environment). Talk of “market orientation” in terms of a public service is, for me, deeply troubling (and I come from the retail sector where such language is obviously deepy ingrained). Not least because one has to question when a market based solution has ever worked for any public institution (clue: never). But also because of what the word actually means. Of a manufacturer, advertiser, etc. : to place or establish (a product) on the market; esp. to seek to increase sales of (a product) by means of distribution and promotion strategies. Also (in extended use): to promote the public image of (a person, organization, etc.). The action or business of bringing or sending a product or commodity to market; (now chiefly, Business) the action, business, or process of promoting and selling a product, etc., including market research, advertising, and distribution. Using the terminology of the market simply validates it and encourages its spread, enabling the “neoliberal logic” to take hold. By adopting capitalist language we accept that information is a commodity (a product) that can be promoted and sold (marketed) – in essence “neoliberal logics”. If we accept the logic, do we then accept that our services should be re-designed according to market methods and incentives? Is it appropriate to frame information as a commodity? And, if it is, how do we square this with our professional ethics? Commodities have prices, it therefore follows that if we treat information as a commodity we accept that it has a price. But if we are concerned with facilitating free access to information, isn’t there a conflict? 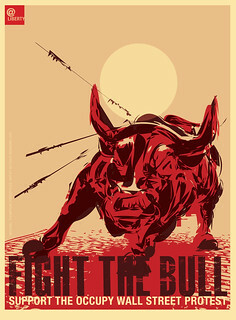 In a neoliberal, extreme capitalist state the answer is, of course, that there is and that, therefore, the conflict must be resolved in favour of the market (the market trumps all in an extreme capitalist society). We then become marketers and sellers of a product, rather than facilitators of access to a social good. The roll-out of “neoliberal logics” would be complete. The problem for me is exacerbated by how such terminology is couched. If you oppose such language (as I mentioned above) you are seen as obstructive block to progress, an out of date annoyance. This is how the discussion is often framed: accept market terminology or face marginalisation. The truth is, however, that that particular side of the argument is actually deeply conservative and is, in many respects, the real block on progress. After all, how progressive is it to adopt the terminology and strategies that constitute much of the frameworks of our capitalist society? Surely to reject capitalist norms is to be progressive and forward-thinking? Is a fascination with ‘market orientation’ the actual block on progress? Shouldn’t resistance to “neoliberal logics” be respected in a professional context, rather than rejected out of hand as obstructive? Such resistance is, after all, entirely in tune with our professional ethics. The adoption of capitalist language and strategies lacks imagination. It’s easy to reach for a solution readily available from there, even when such solutions have had limited success over there. It seems much harder to come up with a strategy that is substantially different. It takes time and effort to construct something new. We can do much better, we can construct something imaginative and distinct. We do not have to adopt capitalist, neoliberal norms because that’s the path others have followed. We have the skills and the capabilities. It’s no good being fearful and negative, believing that we can do no better than what is done there. We have to believe that we can construct something better. And this is where the debate often leaves me filled with despair – it prevents us from constructing something new, from using our imagination to construct something better. If you dare to criticise the rollout of “neoliberal logics”, your argument is nullified at source, prevented from being explored in any meaningful sense. There are alternatives, there should not be one dominant voice in the debate, all avenues should be explored and critiques should be a launching pad for further discussion not seen as a threat. However, neoliberals and arch-capitalists frequently frame the debate in such terms so as to close down the opportunity to explore alternatives – leaving us in the state we are in now where we have seen continual ‘progress’ towards an extremist capitalist state. It doesn’t have to be this way. We do not have to be fearful of the alternatives. We do not have to accept that by rejecting capitalist rhetoric we are, in some way, holding back progress. We do not need to enable “neoliberal logics” to take hold within our services. Fear may prevent us from taking action, from challenging existing norms to create something distinct. But we shouldn’t be fearful of rejecting these norms and creating something new. We have it within ourselves to build an alternative, we just need to be fearless, collaborative and patient. Neoliberalism n. a political philosophy that argues in favour of privatisation, deregulation, and shrinking of the state to the benefit of the private sector. Neoliberals have a peculiar belief system. They believe that neoliberalism is about shifting power away from the state, freeing us from its “oppressive” influence on every aspect of our lives. It is about freedom and liberty. It is about the individual having more control over our lives. Of course, this doesn’t hold up to much scrutiny. Whenever neoliberals are in a position of power, they have to deceive the people to ensure that their political philosophy can be put into action. Deception because, ultimately, the people will often reject the reforms proposed if they were offered to them in advance and with total transparency (see the NHS). It’s why very often the most extreme neoliberal reforms take place under authoritarian regimes (Chile being the obvious example). Terms such as ‘choice’ are deployed in such a way as to ensure that opponents of neoliberal philosophy are seen as somehow opposed to ‘choice’, opposed to the individual being able to exercise their right to ‘choose’. Thus any dissent is effectively neutered. After all, what right-thinking person could be opposed to the inalienable right for an individual to choose? This neutering of debate and hijacking of language is apparent in much of the language we encounter on a day-to-day basis. Presenting a new initiative as ‘efficient’ or ‘progressive’, for example, ensures that anyone who disagrees with these positions is easily labelled as somehow ‘anti-progress’ or as a defender of inefficiency (it’s worth noting that in the UK and US the term ‘progressive’ is used in very different ways by the right-wing. In the UK it is a term embraced by the right for political expediency, the US right-wing sees it as a term of abuse). Neoliberal maneuvering can, therefore, ensure that opponents are seen by the majority as old-fashioned and out-of-touch, even when the opponents are perhaps even more radical and forward-thinking. We see this frequently across society in general and in terms of our own profession. Those who object to certain language or who question certain new ideas are seen as obstructive, outdated refuseniks who merely hold back both the profession and the institution as a whole. However, I would argue that such voices are not merely naysayers, refusing any hint of ‘progress’. They can and do hold ‘forward-thinking’ ideas that are often truly radical in the sense that they offer an alternative path that sits outside established orthodoxies. Indeed, as the late Tony Benn explained in an interview for Michael Moore’s Sicko, the term ‘customer’ implies a financial transaction, one where money must pass hands. The implication, therefore, is that if you do not have money you cannot be a customer as you do not have the means to pay for the service. This, of course, gets to the heart of neoliberal doctrine – that everything has its price. The risk of employing such terminology is that it validates neoliberal ideology. Not only validates, but also opens the door to commercial influences and, ultimately, commercial “expertise” (this is why language should be carefully deployed, it ultimately erodes the influence of the professional). After all, if you are going to argue that concepts such as ‘customer services’ are integral to the delivery of library services, why not get in the ‘experts’? However, there are alternatives visions to the relationship between the user and the service. Visions that are not old-fashioned and archaic, but fresh and “forward-thinking” (to adopt clumsy terminology). That seems to me to be a truly forward-thinking and radical idea. Although it is radical only in the sense that the current social and political climate makes it appear radical. Who could argue that this is not a ‘forward-thinking’ proposition? It rejects standard orthodox thinking, replacing a hierarchical system with something more democratic. Replacing a traditional approach with something alternative, untested and, ultimately, revolutionary. The alternative path to a customer/service relationship need not be old fashioned and traditionalist. It can be radical, bold and resolutely non-traditional. Rejecting the customer/service relationship need not mean that the refusenik lacks a radical, alternative vision. Indeed, the alternative may be more radical than that which accepts traditional hierarchical structures and operates within broader environmental and political norms. To a certain extent, this radical alternative to the neoliberal customer/service relationship is already being tested in Spain. This alternative to the neoliberal model is forward-thinking in outlook. Embracing a system that enables all stakeholders to be actively involved in the governance of the institution. The alternative to neoliberalism is not, therefore, backward or ‘anti-progress’. It is clearly more forward-thinking and ‘progressive’ than the neoliberal model that merely shifts hierarchies whilst factoring in cynical exploitative economics. Opponents of increasing neoliberal language and ideas are not always, therefore, regressive unreconstructed dinosaurs. The alternative vision is not necessarily one that sees a return to an old fashioned way of delivering a service. It can be just as forward-thinking and ‘radical’, if not more so as it abandons the hierarchies beloved of traditionalists and neoliberals. And yet still to question neoliberal language and ideas is to be seen as a defender of an ‘old order’. As an ‘obstacle’ to progress. As someone that is holding back the profession and the institution. Why should this be? There is an alternative to the neoliberal model. We can create a system that rejects neoliberal ideology and embraces something new, alternative and radical, something that is distinct from existing norms. We can create a system that is co-operative, democratic and that ensures all stakeholders have an equal say in the delivery of services. This alternative is forward-thinking and radical. The problem is, how to deploy language? At present there is a lack of clarity regarding what makes a radical, non-traditional alternative to the customer/service or neoliberal models that seem so dominant at present. It is difficult to coherently express this vision when the terms of debate and language have been co-opted by a neoliberal agenda. But it is vitally important to ensure that those that reject the current terms of the debate are not dismissed as irrelevant or as a block on ‘progress’. The alternatives are radical. The alternative is a break from existing orthodoxies. It just hasn’t yet been communicated effectively. If we can communicate the alternative effectively, maybe it could be possible to construct a model that re-casts the relationship between the institution and the user as less cynical and more co-operative.